Two years ago we got a new adventure from J.K. Rowling, a prequel to the Harry Potter stories, called Fantastic Beasts and Where to Find Them. 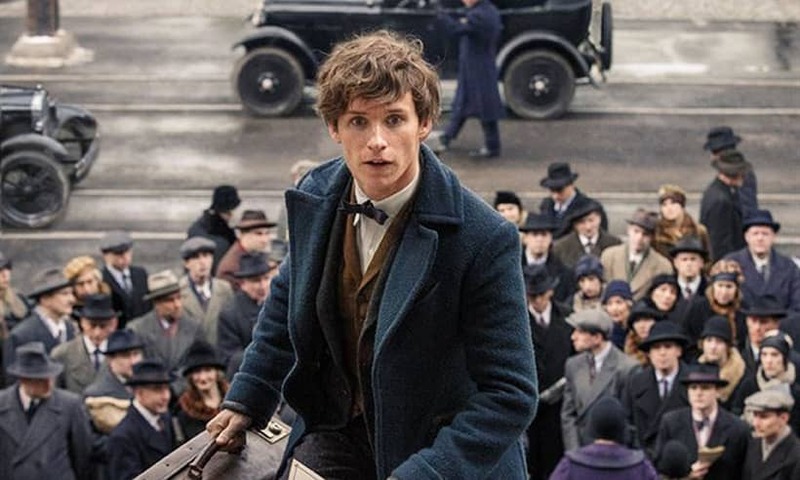 This introduced us to Newt Scamander, a magizoologist who gets involved in adventures in New York in the 1920’s. This was, for me, an enjoyable blockbuster that was both exciting and bundles of fun. Now we get the sequel to that movie, something I was looking forward to seeing as I found the first film far more memorable than all the Potter films put together (before I get lynched, I liked the Harry Potter films but they all seem to merge into one). Sadly, the problems of the original 8 movies are very obvious in this less than impressive follow-up. 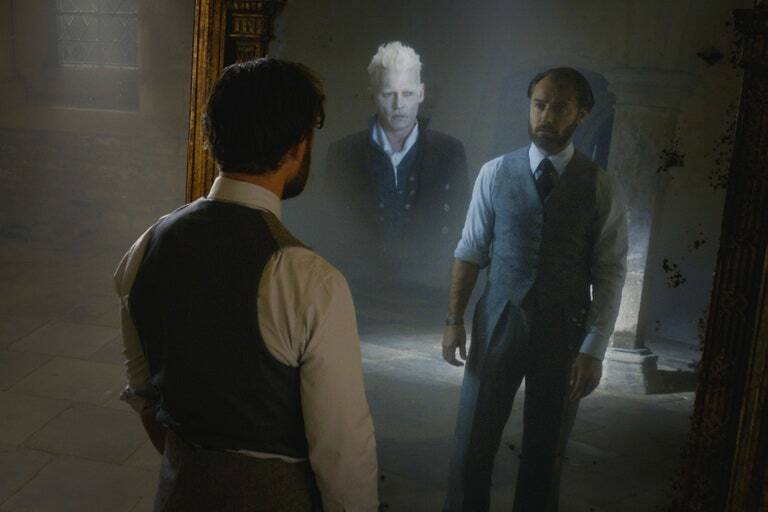 Grindelwald, the captured wizard who caused the chaos in New York, has escaped and is trying to find Credence Barebone, the mysterious young man who was thought to have been killed by survived and is now in hiding. Newt Scamander, refused permission to travel after the New York events, is asked by his former tutor, Albus Dumbledore, to go to Paris where he believes Grindelwald is heading. Breaking the rules, Newt does that, where he reteams with Tina Goldstein and the muggle, Jacob Kowalski, to stop the evil wizard. Once again, like all the films in the series of Rowling’s Wizarding World, the effects are breathtaking and the whole film feels huge in scale. It doesn’t hold back on the imagination of the creatures, the magic and even the locations. The hidden world in Paris where Credence is hiding is one of the high points as far as art direction is concerned. The characters are just as delightful as before, with the introduction of a young Dumbledore being an added bonus for fans of this world. Where the film doesn’t work is there are far too many plot strands. The first film was a simple tale of a wizard heading to America to release a giant bird, who just so happened to get caught up in the events that caused chaos within the human world. This time around, Rowling, in order to develop this side of her creations, has packed in enough stories to make three or four movies, all of which are played out in parallel with each other and so unless you are really listening carefully, you’d quite easily be lost. Coming at you more like a blockbuster soap opera, we get introduced to new characters who all have connections with existing players, yet each one has to be explained in great detail. As Credence searches for his real mother, we get sent down so many different roads as we all try to understand who he really is that you almost give up and hope it will explain itself. Having so many plots and subplots, all being juggled at one time, with so much exposition, does lead to a dull middle section that really does drag. One thing the first film couldn’t be accused of was being boring. Alas, here it does become bum-numbingly dull, saved only by an injection of effects. Another thing this film is lacking is humour. This is a much darker story and so the moments of lightness, which made Fantastic Beasts such a joy was the comic moments of the creatures and of a confused Jacob. What also doesn’t help is the muddled editing. There are moments when things occur without explanation as if key scenes were removed, so characters appear in settings, making you wonder just how they got there and without anyone else acknowledging their presence. The performances are still enjoyable, with Eddie Redmayne making Newt an even more unlikely hero with his coy attitude, while Katherine Waterston, who was so important to the first film, seems to have less to do here, while Dan Fogler as Jacob has had most of his humour removed. 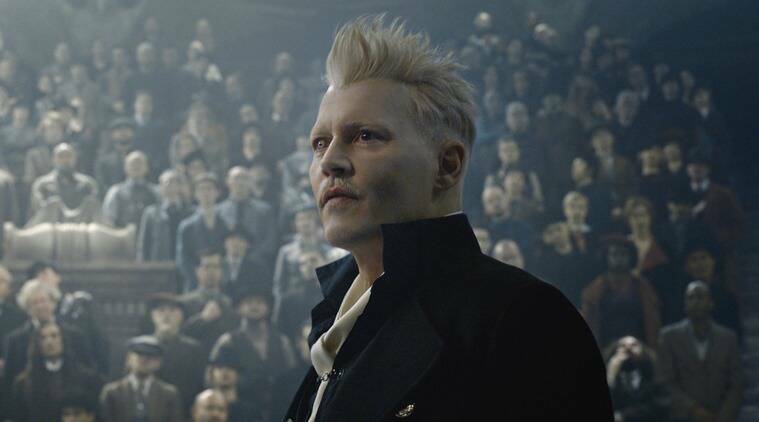 Johnny Depp, looking and sounding like David Bowie, doesn’t have to do too much as Grindelwald apart from look evil. Only Jude Law, as the young Dumbledore, injects a sense of fun and his story seems to be the most interesting, yet it’s the one that isn’t touched upon as much. The Crimes of Grindelwald is perfect acceptable blockbuster entertainment for the season and fans of the series will probably lap it all up with glee. I was disappointed. I wanted the fun and childish innocence of the first film and all I got was a wizarding version of Coronation Street. Even when the ending came and the big reveal was announced, I was waiting for the drums from Eastenders to be played. Not as Fantastic as it should have been.